FYI…we’ve had 2 major prop events recently, the second one req’d engine shutdown @ 7000′ w/a successful glide into Jackson, MS. The atch’d photos are from the second incident below. I’ll keep you advised as we hear more. Two major prop events within a few days of each other. I’ll keep an eye on this one, you may want to disseminate to the Wings. Boss, I don’t have the LR/CC list, but you can forward if you like. One item to note is the PIC in the second narrative had to raise the nose to stop airflow over the prop to stop the rotation and vibration after the engine shutdown. I HAVE BEEN MADE AWARE OF A MECHANICAL FAILURE OF ONE OF THE PROPELLER BLADES OF THE MISHAP AIRCRAFT. DURING RUN-UP THE PROP BEGAN TO VIBRATE AND THE ENGINE WAS SHUT DOWN. 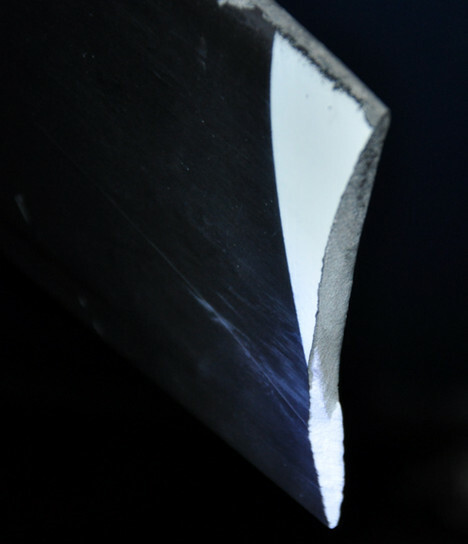 SUBSEQUENT INVESTIGATION REVEALED THAT THE PROP BLADE SUSTAINED INTERNAL DAMAGE. IT WAS DETERMINED THAT THE ENGINE SHOULD BE PREMATURELY OVERHAULED. INSPECTION OF THE MISHAP BLADE REVEALED A STRIKE POINT THAT HAD BEEN FILED DOWN BUT NO RECORD OF THE REPAIR WAS AVAILABLE and PIC CONDUCTED A THOROUGH PREFLIGHT OF ACFT N427CP (3RD SORTIE OF THE DAY). NO PROP DEFECTS NOTED. APPROX 10 MINUTES AFTER NORMAL T/O AND WHEN LEVELING AT 7000 FT, ACFT EXPERIENCED EXTREME VIBRATION. 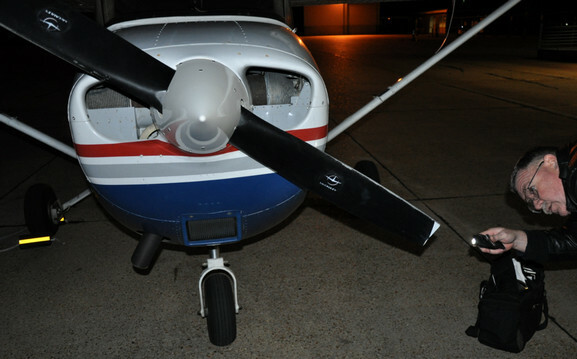 ENGINE SHUTDOWN & EMERGENCY DECLARED APPROX 8-10 NM SW OF JACKSON INTL, MS (KJAN). VIBRATION CONTINUED SO ACFT SLOWED TO STOP WINDMILLING PROP. ACFT GLIDED TO SAFE LANDING AT KJAN. POST-FLIGHT INSPECTION REVEALED APPROX 4-6 INCHES OF PROP TIP MISSING… NO OTHER DAMAGE NOTED. NO INJURIES. Be the first to comment on "Mechnical Failure of Propeller Blade In Flight"